We have been producing digital media since 2002 – and in 2011 we kicked off the year with the launch of the NZ Tech Podcast. This podcast quickly became the top local dedicated podcast in New Zealand. Take a listen and if you enjoy any of our podcasts we’d love it if you could share them on Twitter, Facebook, LinkedIn or however you like. If you have an idea for a new podcast and would like to take it to a big audience then get in touch. We have the know how, the experience and everything it takes to get new podcast to a broad listenership (and often straight into the iTunes charts). And if you’re outside New Zealand, keep a watch at our upcoming international network of sites which will promote local content across key countries in the Asia Pacific region – Podcasts Malaysia, Podcasts Singapore, Podcasts Hong Kong and Podcasts Philippines. You can keep current with our latest The Slightly Correct Political Show updates via Twitter @SlightlyCorrect, the SlightlyCorrect.com website and facebook page. This episode features Pat Brittenden (@patbrittenden), Chris Brain (@Chris_Brain), Jeremy Elwood (@jeremyelwood). 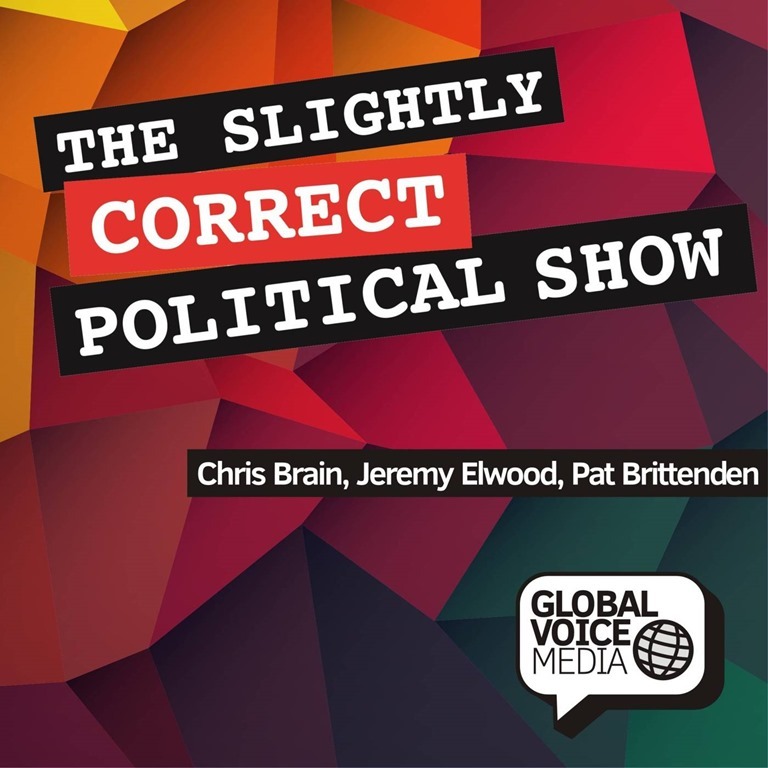 The Slightly Correct Political Show is published by Global Voice Media – the home of NZ’s favourite podcasts. 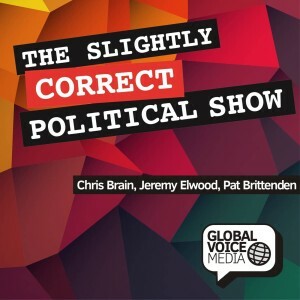 Pat Brittenden joins comedians Jeremy Elwood and Chris Brain to look over the demolition of the NZ Labour Party by National in the 2014 Election. They mull over where next for Labour and pick over the bones of the dead carcass that is the 2014 election. Topics this week include the arrival on BMW Connected Drive in NZ, tech on the farm, Kindle Voyage, Huawei Ascend P7, Oculus Crescent Bay Virtual Reality prototype, Asus G750, DisplayPort via USB connection along with iOS 8 and iPhone 6 and 6 plus. This NZ Tech Podcast hosted by Paul Spain (@paulspain) with guest Karen Monks (@RDiva) and supported by Vector Communications. Published by NZ’s Podcast specialists – Global Voice Media. This episode Wal & Jarred chat to Dave & James from the band Villainy ahead of their Ammunition Tour, Quirky Kiwi Country artist Katie Thompson talks about “leaving your hat on”, Modern Maori Quartet korero “Happy Hour” their new hit TV show with Temuera Morrison & Keisha Castle-Hughes, producer Robin Scholes talks about new Lee Tamahori film “The Patriarch” and how you can help invest in the movie through equity crowd fund outfit Snowball. Music Industry elite Eveline Van Der Steen & Michelle Fantus give you valuable tips about branding your band online & getting your songs out to the masses plus Wal & Jarred talk movies including the new martial arts Maori- Tekken-esque The Dead Lands, The Giver, Teenage Mutant Ninja Turtles & The Skeleton Twins & more! You can keep current with our latest NZ Entertainment Podcast updates via Twitter @NZ_Ent, the NZEntertainmentPodcast.com website and facebook page. This episode hosted by Wal Reid, engineered by Simon Peterson and Paul Spain is the executive producer. 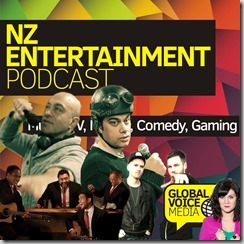 The NZ Entertainment Podcast is published by Global Voice Media – the home of NZ’s favourite podcasts. 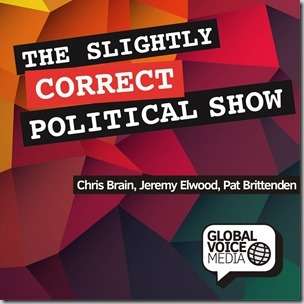 The Slightly Correct Political Show 26: Early voting. Is a vote for the Conservatives a wasted vote? Was the Moment of Truth a missed opportunity? In this final pre-election episode – a debate on the merits of early voting, the idea of wasted votes and ponder if a Conservatives vote is indeed wasted and mull over Kim Dotcom’s much hyped ‘Moment of Truth’ and try to figure out who it actually helped. This week we discuss Microsoft TechEd, the Minecraft acquisition, Logitech’s new CC3000e Video Conferencing system, Lenovo ThinkPad Tablet 10 and big change coming for .NZ domains. We also share thoughts on Apple iPhone 6, Apple Pay and Apple Watch. This NZ Tech Podcast hosted by Paul Spain (@paulspain) with guest Bill Bennett (@billbennettnz) and supported by Vector Communications. Published by NZ’s Podcast specialists – Global Voice Media. This episode we discuss Digital Nationz, Chorus broadband pricing, gaming sensation Destiny, IFA Berlin announcements from Samsung, Sony, Microsoft, Intel, HP, Motorola, Asus and others. Along with the new Blu-Ray, 2degrees 4G in Wellington and GM’s hands free driving. This NZ Tech Podcast hosted by Paul Spain (@paulspain) with guest Peter Hall (@dnzpete) and supported by Vector Communications. Published by NZ’s Podcast specialists – Global Voice Media. Leaders debates, a Minister being sacked, National looking more than rattled, a Conservative MP thinking you need to smack your kids to keep them off the pipe and more – it’s a hectic episodes to match an even more hectic week of politics.